Join local batik artist Jessica Kaufman on a trip to the western Indian region of Kutch, where she did a deep dive into a unique form of batik traditional to the area. Studying with one family of 5th generation batik artists, Kaufman slept on the family’s floor and learned their caste’s style of batiking & dyeing alongside cousins, uncles, and brothers for three weeks. The women of the village practice bandhani, an intricate form of thread resist dyeing. This slideshow will present an in-depth look into the tools, the designs, and the culture of both batik and bandhani. 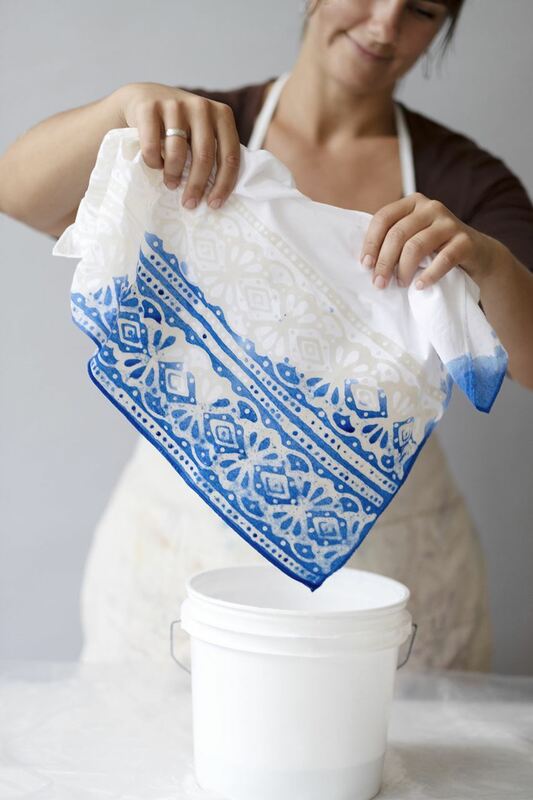 Jessica Kaufman holds her Masters degree in Crafts Education and owns WAXON Batik & Dye Studio. She has taught knitting and fiber arts professionally since 2007.